Some of the most compelling examples of family-friendly films with engaging narratives and wholesome characters will highlight the Utah Film Center’s fifth Tumbleweeds Festival this coming weekend (Sept. 25-27). The Intermountain West’s only film festival exclusively for children, Tumbleweeds will include seven Utah and two North American premieres in its slate of 12 feature-length films and four programs of short films. 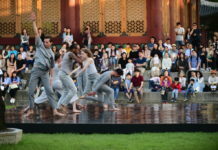 The festival includes films from 11 countries. All screenings are at the Rose Wagner Center for Performing Arts in downtown Salt Lake City. Tumbleweeds is an effective rebuke against those who lament the supposed dearth of films for young audiences. The feature-length films — eight narratives, three animation and one documentary — are filled with lovable, admirable and respectable characters situated in stories that, indeed, can stand solidly on their merits of audience appeal in commercial markets and theatrical distribution. Since its founding, Tumbleweeds has drawn solid audiences, and more than 2,500 are expected to attend this year. The center also offers monthly Tumbleweeds screenings at the City Library, the Viridian Center, Sorenson Unity Center, Orem Public Library and the King Koal Theater in Price. A school field trip program which includes film screenings has reached more than 19,000 students and the center coordinates the Sundance Kids program with the Sundance Film Festival every January. 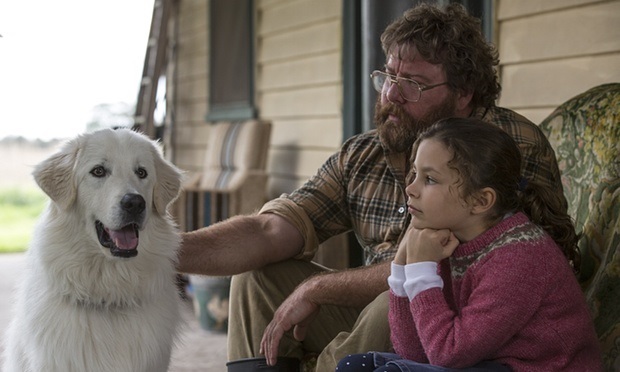 Opening the festival (Sept. 25, 7 p.m., Jeanne Wagner Theatre) will be Oddball, a thoroughly uplifting, gentle, funny film about Swampy, a chicken farmer from the Victorian coastal town of Warrnambool, and his free-spirited dog Oddball who protects a wild penguin sanctuary from fox attacks. Based on a true story, the film, directed by Stuart McDonald and written by Peter Ivan, is rounded nicely by beautiful cinematography and a pitch-perfect musical score. The festival’s final centerpiece screening (Sept. 27, 6:30 p.m. Jeanne Wagner Theatre) will be My Friend Raffi! (Rettet Raffi! ), a German live-action film directed by Arend Agthe featuring a golden hamster. The most remarkable element about this film is that no CGI effects were used to portray the hamster. Raffi’s scenes were realized with the help of 14 amazingly trained hamsters who filled in as doubles or for specific moves as needed. The film is classic kid’s entertainment including a criminal who resembles Joe Pesci’s persona in another well-known kid’s film that needs no elaboration. The film is engrossing in every aspect, and Shapiro precisely captures the extraordinary drive of these young athletes. In the past five years, the Ugandans have traveled three times to the Little League World Series in South Williamsport, Pennsylvania. This year, they scored a monumental upset beating the Dominican Republic (a prominent source of Major League Baseball players) 4-1, marking the first win ever in a non-consolation round by a team from the Europe-Africa region — impressive for a team that just began playing organized youth baseball in 2002. Dovetailing perfectly with the concurrent Salt Lake Comic-Con event in the city will be the screening of Antboy 2: Revenge of the Red Fury (Den Røde Furies hævn), a Danish film directed by Ask Hasselbalch with screenplay by Anders Ølholm as based on the books by Kenneth Bøgh Andersen. Pelles is a slight, unassuming boy whose alternate identity as a superhero is fueled by eating chocolate. It is a fairly quick-paced romp that balances quite well the needs of a children’s film with a standard superhero adventure. It’s a coming-of-age story that captures Pelle’s feelings of confusion about trying to be a normal adolescent who also happens to have extraordinary powers for fighting crime in the fictitious Danish town of Midellund. 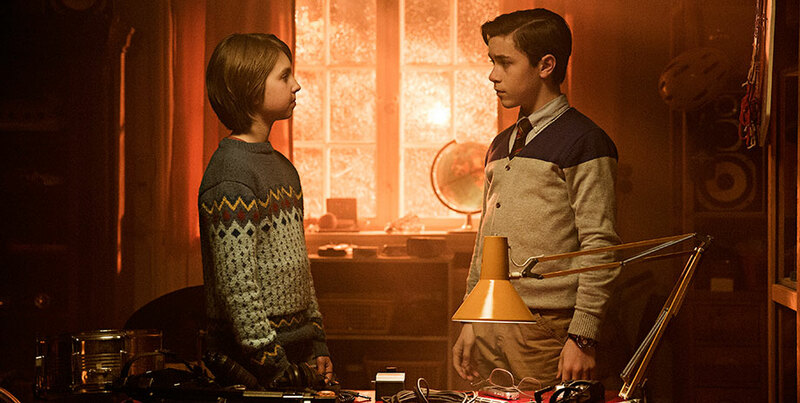 Perfect for the youngest set will be the North American premiere of the Swedish film Bamse and The City of Thieves (Bamse och tjuvstaden), directed by Christian Ryltenius (Sept. 26, 9:30 a.m., Jeanne Wagner Theatre). 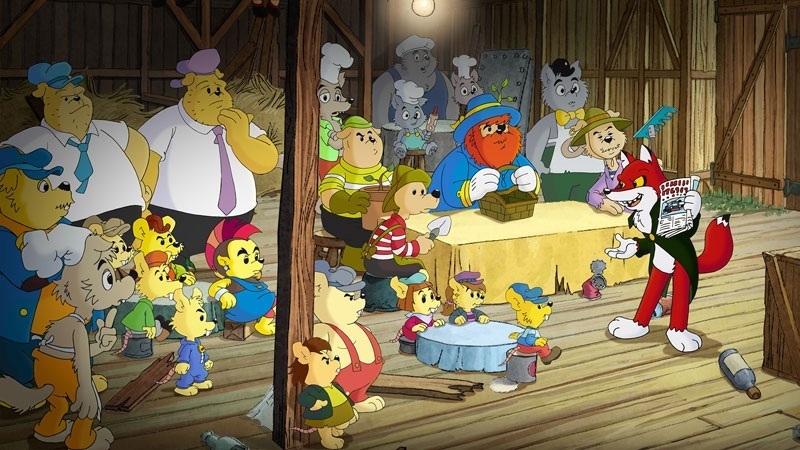 The film, emphasizing both the virtues of kindness and bravery, opens with the kidnapping of a beloved grandmother, who happens to make the honey that makes Bamse strong, and the protagonists must travel to an old forgotten town of thieves to rescue her while battling numerous villains along the way. Likewise, from The Netherlands, Pim and Pom: The Big Adventure (Pim & Pom: Het Grote Avontuur), directed by Gioia Smid (Sept. 27, 11:30 a.m., Black Box Theatre), is an excellent cartoon for Tumbleweeds’ youngest audiences. Pim and Pom are street cats in this richly entertaining animation, which includes a lot of wonderful songs perfect for preschoolers. International children’s fare is consistently excellent, as evidenced in Miniscule: Valley of the Lost Ants, a French film directed by Hélène Giraud and Thomas Szabo (Sept. 27, 4 p.m., Jeanne Wagner Theatre). 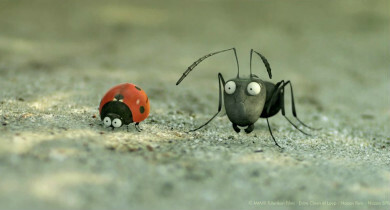 Delightful is the best descriptor for this film about a ladybug as well as black and red ants who also desire the sugar. 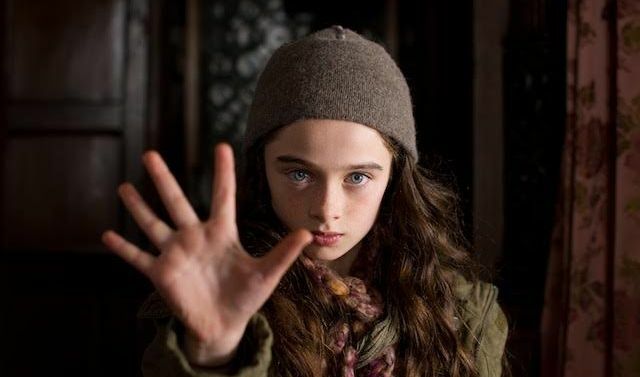 Georgia Byng’s fantasy book series, quite popular in the United Kingdom, sets the stage for Molly Moon and the Incredible Book of Hypnotism, directed by Christopher Rowley (Sept. 26, 5:30 p.m., Black Box Theatre), about an orphan who discovers a magic book granting her the powers of hypnotism. The film features plenty of the slapstick violence that is well suited to family comedies. Older children will enjoy Nagesh Kukunoor’s Rainbow (Dhanak) (Sept. 27, 2 p.m., Black Box Theatre) from India, which follows two children traveling to a city to find a cure. It is a beautifully crafted narrative that is based on wonderful characters who do not look for magic, luck or coincidences but for the good faith intentions of friends they make during the journey. Rainbow is among the most charming entries in this year’s festival. 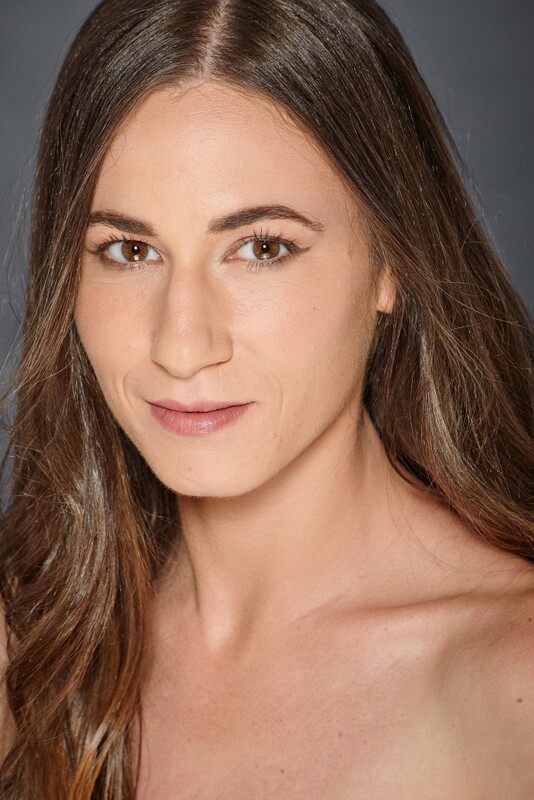 Also slated for their Utah premieres are A Little Game (Sept. 27, 4:30 p.m., Black Box Theatre), directed by Evan Oppenheimer, and Paper Planes (Sept. 26, 5 p.m., Jeanne Wagner Theatre), from Australia and directed by Robert Connolly. A Little Game, about a 10-year-old New York City girl learning to play chess, stars Janeane Garofolo, Ralph Macchio, Oona Laurence, F. Murray Abraham and Mackenna Ballard. Paper Planes, featuring Ed Oxenbould, Sam Worthington, Julian Dennison and Alex Williams, is a charming adventure piece about a 12-year-old boy from rural Australia whose talent for making paper planes takes him to Tokyo. Shorts programs include the best short films from the 2015 New York International Children’s Film Festival (Sept. 26, noon, Jeanne Wagner Theatre), and Kids Can Do It! (Sept. 26, 3 p.m., Black Box Theatre), which includes a 45-minute film directed by a 12-year-old living with food allergies, as well a story about a young entrepreneur who pursues his passion for fashion, and a short about a young girl who plays hockey with the boys. Others include the 76-minute Imagination Celebration (Sept. 27, 1:30 p.m., Black Box Theatre), a collection of animated shorts from around the world, and a 75-minute program of the best short films in Spanish and Portuguese languages screened in recent years at the New York City International Children’s Film Festival (Sept. 27, 11 a.m., Jeanne Wagner Theatre). Other Tumbleweeds events include the Kids Clubhouse, sponsored by University of Utah Health Care and Animal Jam, which will be located in the Rose Wagner Performing Arts Center Rose Room. In between film screenings, festival guests will have the opportunity to participate in numerous activities, including: an obstacle course, Microsoft Just Dance mini dance floor, STEM learning activity presented by Animal Jam, and an arts and crafts station presented by The Wonderment. Children ages 8-12 will have the opportunity to participate in workshops about filmmaking, animation, 3-D rigging and game design. One panel discussion will also take place to teach youth the best practices of creating YouTube shorts. To participate, guests must register online and pay a $20 registration prior to attending. Workshop registration information is available here. Tumbleweeds is occurring just as the center and SHIFT recently announced its merger to expand its educational programming. For example, Utah Film Center and SHIFT served more than 6,000 local school children and more than 150 educators in the last school year through their “Behind the Animation” and “Filmmaking in the Classroom” media arts programs. By providing audiences with an instructional skill set rooted in the Utah State Office of Education’s Life Skills Curriculum, that focuses on thinking and reasoning, personal growth and character development, aesthetics, communication, systems thinking and employability, students and teachers have gained an alternative learning experience that could be applied in creative projects elsewhere. The merger brings Rick Wray, one of the co-founders of Spy Hop Productions (a major youth media arts center) and SHIFT founder, to the Utah Film Center as director of education. A limited number of opening night tickets will be sold for $8 (includes service charge). All other tickets can be purchased for $6 (includes service charge). Tickets are available at the Rose Wagner Performing Arts Center or online at arttix.org or by calling 801-355-ARTS (2787). Weekend passes are still available for $40, which includes 10 film tickets of the purchaser’s choice in addition to a discount on official Tumbleweeds merchandise. For more information, see here.